It's become a bit of a running joke to lean into the concerns surrounding the "death of single-player," but sometimes what comes of those jokes is a far more interesting discussion of the studios, teams, and industry figures that make them. One of those figures, Koji Igarashi, is on the home stretch of developing a game that has demonstrated some of the industry challenges involved in the creation of single-player titles. GamesIndustry.biz spoke to Igarashi following his participation on a panel at PAX West entitled "Single-Player is Dead; Long Live Single-Player." Given his part in the panel and the structure of Igarashi's upcoming game, Bloodstained: Ritual of the Night, it should come as no surprise that he's untroubled by the trends in popularity of multiplayer-exclusive games. In fact, Igarashi doesn't see the existing balance between single and multiplayer games as subject to change much at all any time in the foreseeable future. "I think things won't change, because there is a difference between people who play single-player games and people who play multiplayer games, as much as there are differences between people who are introverts and extroverts," he said. "There isn't anything we need to do [to ensure single-player games can sustain themselves]. There will always be people who enjoy playing single-player games more than multiplayer games." "A game doesn't have to be profitable, it just has to break even"
That said, Igarashi did acknowledge the recent profitability of multiplayer-focused games, and how a recent focus on such games from major publishers presented challenges to many developers, including himself. "It's very difficult that multiplayer games are so profitable, but single-player games are where a lot of indie games come in. With single-player, you can create the game you want to create. We leave multiplayer games up to the larger publishers looking into the market, but it's very adventurous to create a single-player game with larger publishers. We started out as a Kickstarter project, and before we started the project, a lot of larger publishers said there wasn't much of a market for sidescroller games [like Bloodstained]. But we proved them wrong by having a successful campaign. "With the rise of multiplayer games, I don't think single-player is in danger. A game doesn't have to be profitable, it just has to break even." In developing his own single-player game, something that Igarashi mentioned multiple times both during the panel and during our conversation afterward was the array of differences between the Japanese independent game scene versus the Western one. Though Igarashi's journey from a 24-year stint at Konami may not be as common a tale in the US, it's becoming a more frequent occurrence in Japan, leading to the slow but steady growth of an indie scene in the country. "In Japan, indie developers are mostly people who came from a larger publishing company that want to start their own company. In America, even just a student could create a game and be able to publish that as an indie title, and create whatever they want to create. That sort of thing is more of a hobby for people in Japan and it's not very profitable. A lot of people who do that can't break even." Even though Igarashi's story is becoming a familiar one in the Japanese indie scene, he's still a bit surprised that Bloodstained gets that label at all. "That's what's happening in Japan - there are a lot of larger publishers providing support for indies now"
"It's very hard to differentiate between indies and non-indies. It's now split into triple-A title or indie, and there's not something that's in-between. And when we talk about team sizes, in the older days we were working with only a few people and that wasn't considered indie back then. That's where I'm a little confused, but it's also something I'm starting to learn more about with the indie scene being bigger and even people using the word indie. "The Bloodstained team is about 20 people, maybe a little less, but I consider that a big team. Back when I used to work on earlier titles, there'd be only about four people working on some of them." Despite the stark differences, Igarashi sees the Japanese indie scene looking more and more like the Western one in the near future, with teams and budgets both large and small able to thrive. "I think the Japanese indie industry will be able to change in the future, especially with big companies like Nintendo having a strong indie presence. They're willing to have a lot of indie developers work with them and provide that funding they need. And that's what's happening in Japan - there are a lot of larger publishers providing support for indies now." 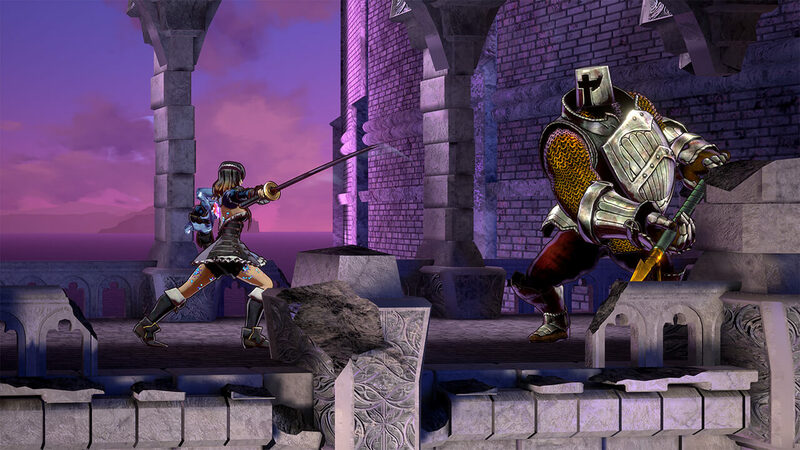 505 Games, Bloodstained's publisher, is one of those providing that support. Igarashi told me that because 505 is a Western publisher, its insight has been especially critical in helping his Japanese team connect with his global audience. In particular, 505 has helped ArtPlay manage feedback from Kickstarter backers and the Bloodstained fan community. Before, he says, Igarashi's team just worked through forum posts and picked and chose what they thought was interesting to respond to. But with 505 involved, he has a lot more information. But even with the larger volume of feedback between the community and 505 itself, Igarashi and the Bloodstained team are still very particular about how they respond. "The game is our responsibility. If there's something we don't agree with and put into the game, who's going to take responsibility for that? We also really appreciate a lot of the opinions we receive from the Western market since we have a different way of thinking, so that's interesting to see as well. 505 also suggests a lot of game elements, and if we don't agree, we just say we don't feel that way. It's the same with fans, and Kickstarter backers." 505 Games may be giving ArtPlay a wider window to what a global audience wants from Bloodstained, but Igarashi isn't specifically trying to make the game for a Western or international audience, or any audience at all. ArtPlay's approach to community feedback is reflective of its approach to the game as a whole: the game is the responsibility of Igarashi and his team, and they're going to make the game they want to make. "We don't see where we're going, really. Whatever we feel like we want to put out at the time, we'll do that, but we won't be tied to one thing"
"We don't really try to think about where to target our audience. When we try to target a global audience, or a Western audience, it doesn't work out. A perfect example would be for Symphony of the Night. That was marketed to a Japanese audience, and since we're Japanese and we know the culture, that's basically what we were good at. So it was very surprising to see it was a huge success globally. We don't try to focus on one or the other, but we need to agree on what we feel is enjoyable to play. We talk about audiences, but it's not something we target." Bloodstained: Ritual of the Night is set to launch next year, and judging by demos at various events, the game is nearing completion. But Igarashi has been fairly quiet as to his direction once its main game is out the door. After leaving Konami, Igarashi became a founding member of ArtPlay, where he was allowed to continue working on his own project as long as he found funding for it elsewhere. 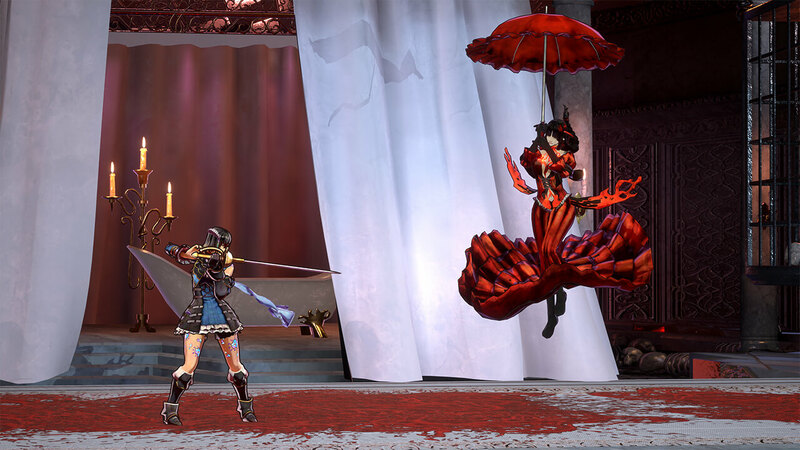 Bloodstained is handled by the company's Japanese branch, headed by Igarashi, while its Chinese branch focuses on mobile. When Bloodstained is done, then, ArtPlay under Igarashi will need to decide what it will ultimately become: The Bloodstained studio? The Metroidvania nostalgia studio? Something different? Igarashi still isn't sure, but for now isn't too troubled in that uncertainty. "There's not really a vision for what I want ArtPlay to be," he said. "I bet a lot of people think, 'ArtPlay is the company Iga is at.' That's sort of the general feeling everyone has about this company. I want all our games to incorporate an action genre feel. Beyond that, we don't know if we'll delve into other genres or if we'll fall back on nostalgia. We don't see where we're going, really. Whatever we feel like we want to put out at the time, we'll do that, but we won't be tied to one thing. We're going to keep being that company that I'm at." PAX organizer ReedPOP is the parent company of GamesIndustry.biz.